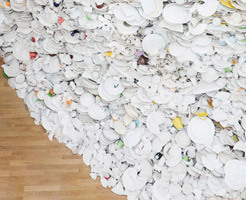 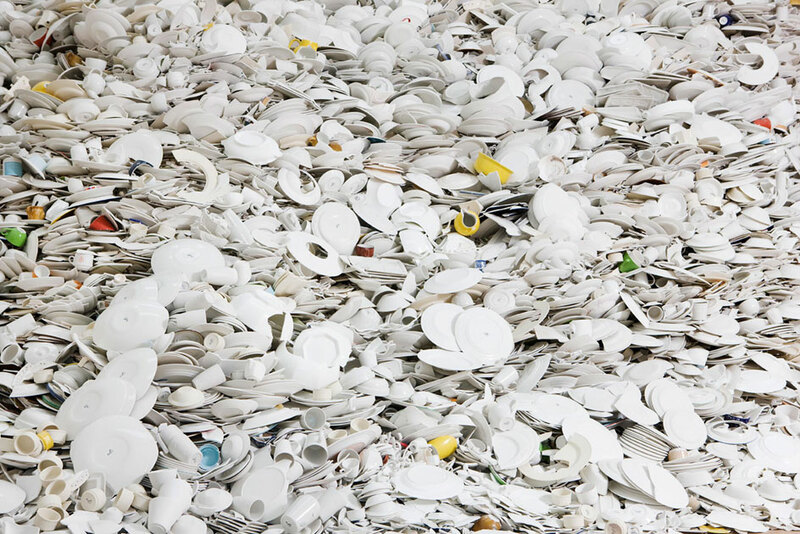 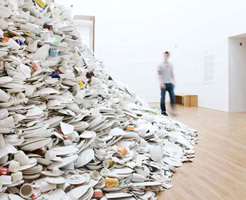 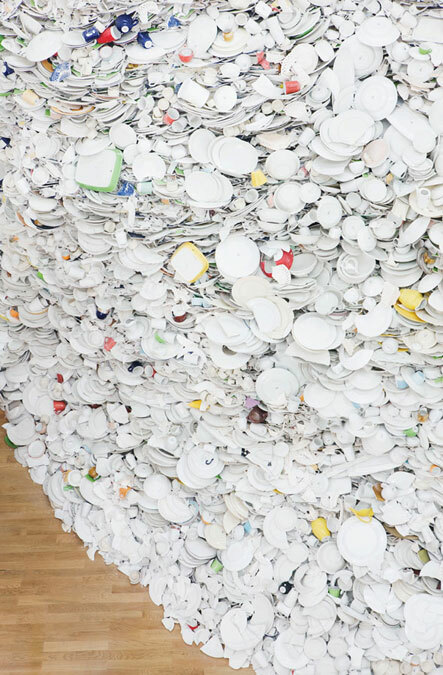 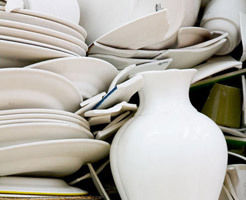 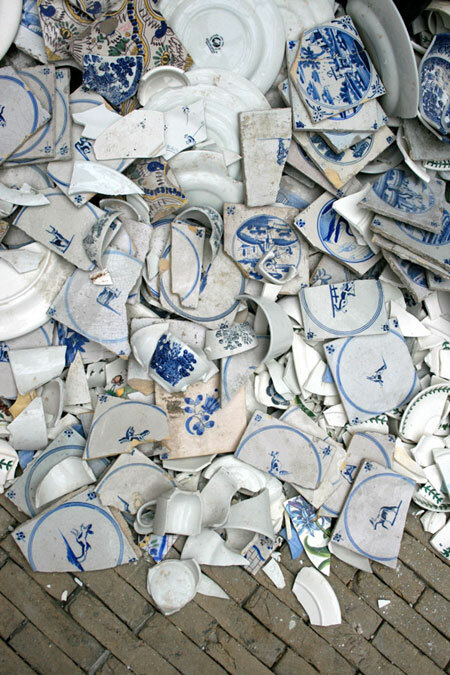 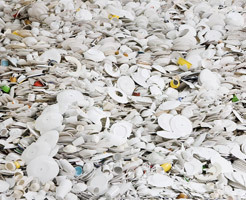 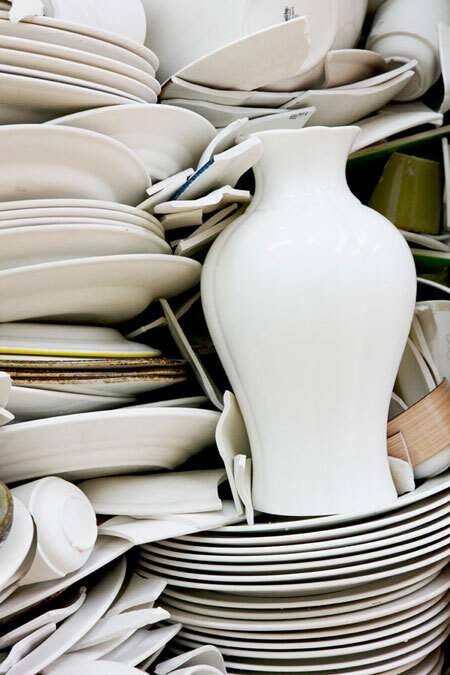 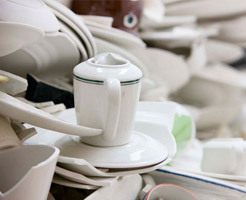 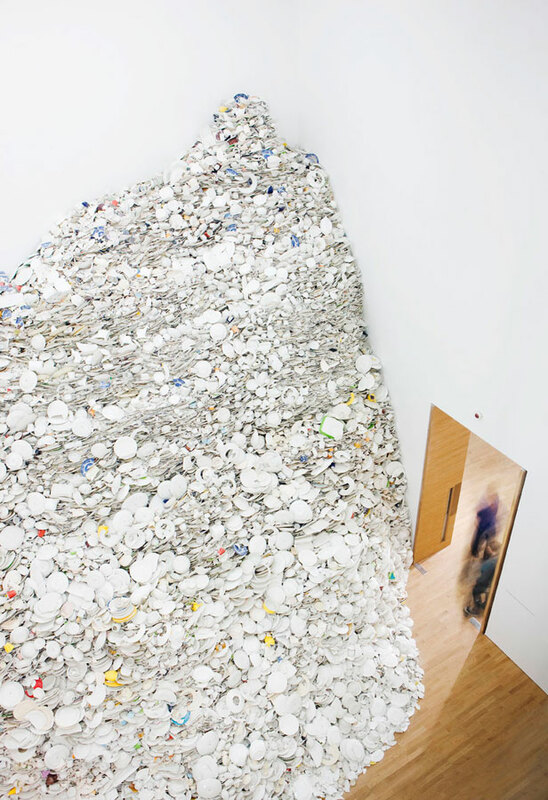 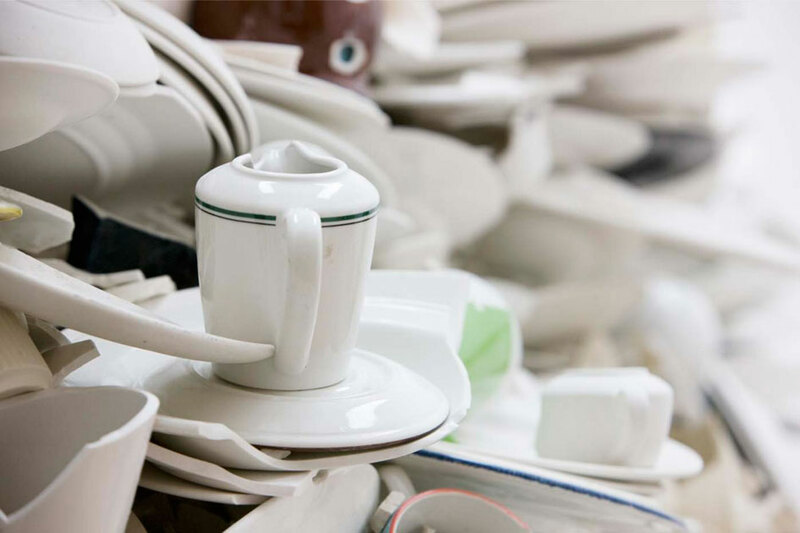 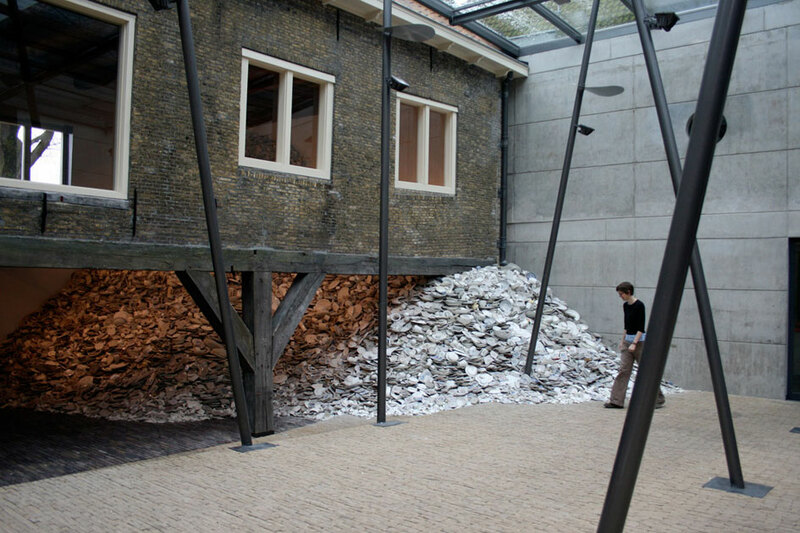 Monument was a work made from the waste of the British ceramics industry; it comprised a vast pile of ceramic waste – broken plates, cups, jugs, and other ceramic ware– transferred from The Johnson Ceramic Tiles factory and installed in the gallery space. 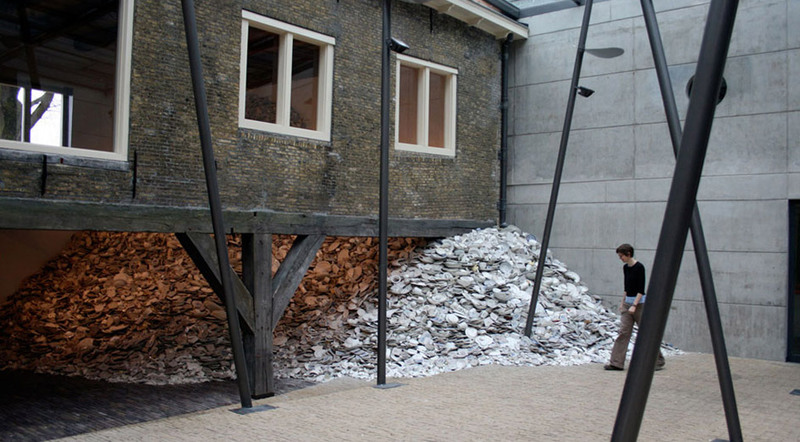 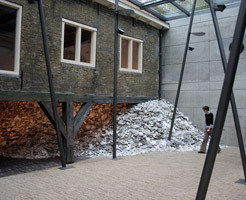 Firstly, as a site specific work at the Zuiderzee Museum in Holland and then to a gallery site at MIMA. 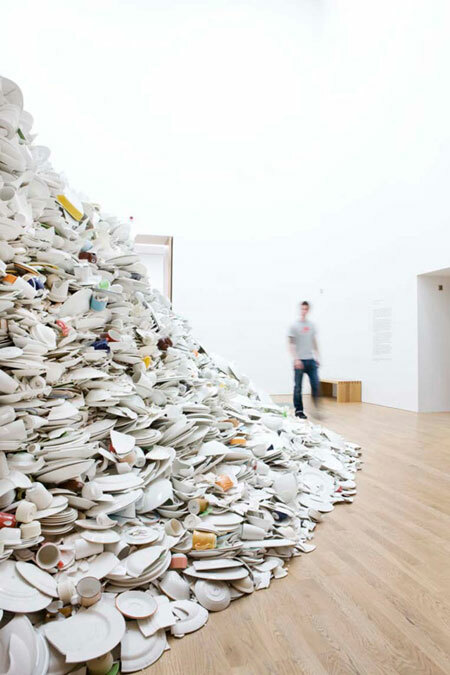 The work discussed the value of objects, ideas of ownership and the domestic; it raised questions of what it is to care for things and to break things. 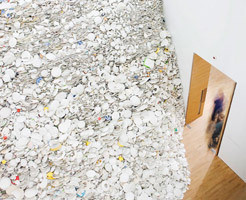 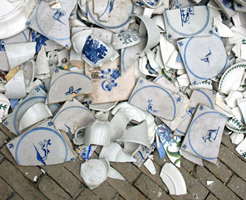 The pile of ceramic waste had both a physical and emotional impact on the viewer in its scale and visible wastefulness.